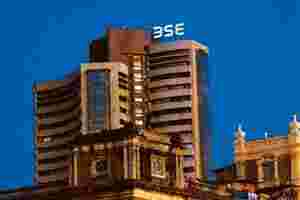 The Bombay Stock Exchange (BSE) has introduced a new fee structure for trading members of its cash equity segment. Effective 7 October, orders from members will be categorized as passive and active orders. The bourse has cut the fee on active orders by 7% to Rs3.25 for every Rs1 lakh of gross turnover. The fees applicable for passive orders will be much lower at Rs2.25 per lakh, which translates into a 36% reduction from the current flat fee structure of Rs3.50 per lakh. Passive orders are essentially limit orders that add to the liquidity in the exchange’s order book. Active orders, on the other hand, are market orders that take away liquidity. By having lower fees for limit orders, the exchange is essentially incentivizing trading members who enhance its order book. This is known as the maker-taker pricing model, where the trader that provides passive order flow—seen as a maker of liquidity—is rewarded. On the other hand, those who take advantage of existing limit orders to trade are seen as takers of liquidity and end up paying a higher fee. Of course, these new trading platforms, now referred to as multilateral trading facilities, also rely on faster technology to provide users low latency. Latency is the time difference in information reaching the exchange’s system and the trader’s system. But there’s no denying that differential pricing has helped multilateral trading facilities gain share. Some mainline exchanges have also followed this policy but recently the London Stock Exchange (LSE) took the decision to discontinue its differential pricing. According to LSE, when one type of trader is incentivized, another is disincentivized. For LSE, the concern was that its largest customers were the ones that ended up being disincentivized. Having said that, LSE’s is an isolated move and the experience in the past few years has been that incentivizing passive order flow has reaped rich dividends. Of course, pricing strategies alone won’t enable BSE regain market share from the National Stock Exchange. But as Anshuman Jaswal, analyst at research firm Celent, said: “BSE’s move is a good step in that direction given the success MTFs (multilateral trading facilities) have had with differential pricing."